On April 4th the Hadley-Philemon Wright school band visits Wakefield School to perform for our students! Ms. Payne, the Principal of Hadley-Philemon Wright High School is coming to visit with the Grade 6 classes on April 11th. 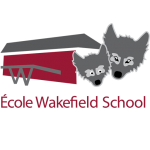 On the afternoon of April 15th, some former Wakefield students are returning to talk about life at high school with the Grade 6 classes. Our school choir is performing at the Palais de Congres on April 17th at 5:30pm. This is wonderful evening of music, please join us! April 19th and 22nd are Easter holidays. The school and daycare will be closed. It is Administrative Assistants’ week from April 22nd-26th! Please join us in thanking Linda and Michelle for the fantastic work they do every day to keep us running smoothly. There will be a Governing Board meeting in the library on April 24th at 5:30pm. Our monthly assembly takes place on April 26th and the spirit day theme is crazy hair day! April 29th is a PD day. The daycare will remain open to those who pre-register. More information will follow.